A colorful salad packed with a variety of healthy foods. Makes 4 servings. 1 cup per serving. 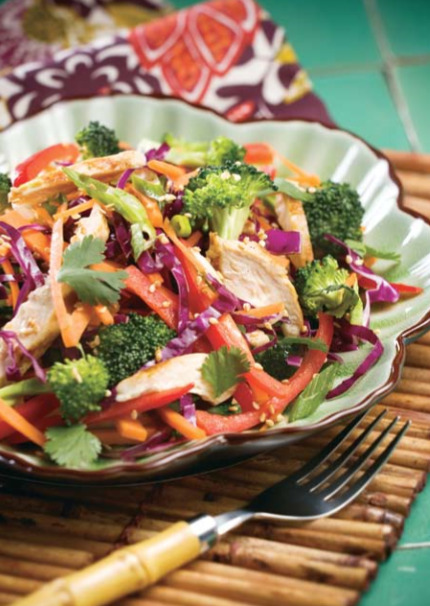 Cut chicken breasts into small strips and place in a medium bowl with onions, broccoli, carrots, bell peppers, and cabbage. In a small bowl, stir together dressing and juice. Pour over salad and toss well to coat. Stir in cilantro. Serve at room temperature.